It is not an easy job to create a resume and that too perfect one. A resume plays a vital role whether it is in the field of an interview or is it about being an employer. A resume is one of the most important and the most well-known documents that can get one through any job or an interview. It is the resume that decides everything about you including your education, about the volunteering activities that you have participated, all your interests, technicalities strengths skills you possess and so on. A Résumé plays a very important role and to find the best ones rooting your personality is one of the toughest jobs to do. So, to get something that suits your personality, here is uptowork which is available with all the features that one might require in building up the perfect resume for them. Well, the list of available beautiful and out of the world features that uptowork presents are beyond description. Choosing and using the best template out of the plenty of available options. Customizing it according to you. That is not all. Here are all the details that human who want to know about up to work and use it as one of the best options to build up your personality as well as to get the best resume out there for yourself. There are more than 20 professional template options for one to choose from. All that you are required to do is choose the best one for yourself that you think if it's your profession as well as your personality. The available templates options include Cascade, Crisp, Modern, Cubic, Concept, Vibes, Simple, Muse, Influx, Initials, Diamond, Iconic, Newcast, Enfold. All of them doing complete justice to their templates and serving the best one and all. One of the important things to keep in mind before submitting your final resume is having a going through its preview at first. It might so happen that you miss out on some details sometime and to fix the same the preview options come to rescue. It provides an option to go through your resume more than once and change the necessary details in case you missed out on something. Apart from all the features that uptowork successfully serves, customization one of the best and the most cheated feature of creating a template. 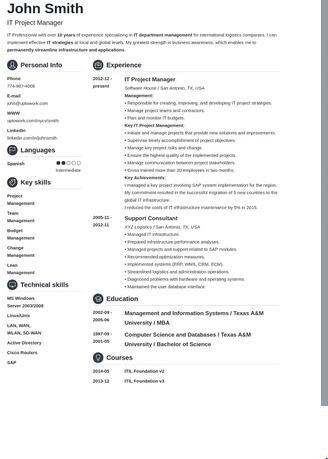 Who could ever think that it would be so easy to change the colors the resume template, size of the fonts, and the format of the dates. Well, now all of it is possible with the help of uptowork. There are plenty of colors available for one to choose from fitting the best today resume. Alongside you can also the date format as well as the size of the fonts. 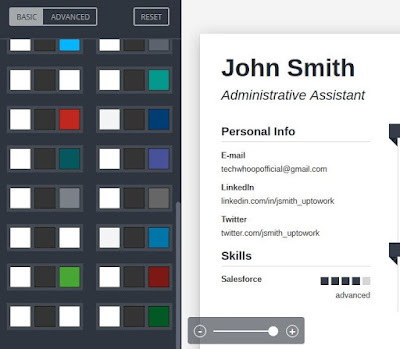 These kinds of customization are not so easily available in all templates and resume sections. The editor section of uptowork makes things completely easy and builds confidence to present the best resume of the world. Another advanced feature that uptowork comes up with is the adding and removing section of it. Out of all the available sections that you had wanted in your resume the adding and removing sections allow you to remove or add any of the sections that you would not want in your resume or you wouldn't want to implement in your resume. These features are one of the best because of the matter that you can remove the unwanted content from your resume as well as make it have the implications that you want the resume to have. The different adding and removing sections includes, your personal information, the summary, different experiences that you have had, all about your education, skills that you have mastered, the different languages that you are proud to know, your interest certificates that you possess, the conferences that you have been a part of, the different courses that you have attended while you were in college or school, and everything else that you would want one to know or not to know. Out of all the advantages that you have seen now and so far can help you bring out the best in you by getting the best design template for yourself with the help of uptowork. Creating a resume has never been an easy task but who knew that things would eventually turn out to be so simple and so easy. It is a guarantee that out of all the experiences that you get from uptowork, you might not find it anywhere else. Uptowork knows how people work and how their minds play along. It knows that when it comes to choosing the best, people look for the finest alternative that has been made available so far. Uptowork takes care of all of it and ensures serving the best possible way to find out what suits your needs and what is desired for your personality. Out of all the features that we have seen so far, it is quite clear about the impact Uptowork intends to make. It suits and serves the purpose of and all and makes sure that it fits the personal need of the people.